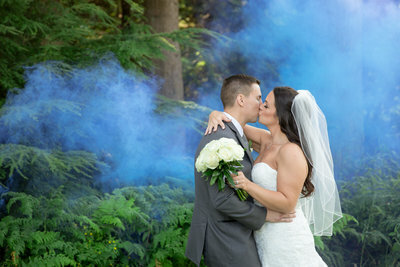 As a professional wedding photographer I love Westwood Plateau Golf weddings because they have a natural west coast feel and beautiful quiet spots for photos. 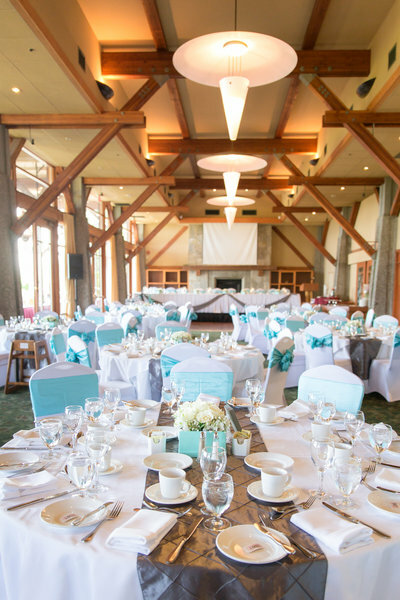 Westwood Plateau Golf Club provides spectacular sweeping mountain and city views from its two banquet rooms. One of my favourite spots for sunset wedding photos is the helicopter pad, it provides beautiful golf club views. 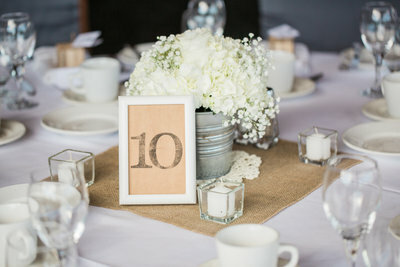 The venue can host up to 250 guests for your wedding day, with top class menu and service staff. 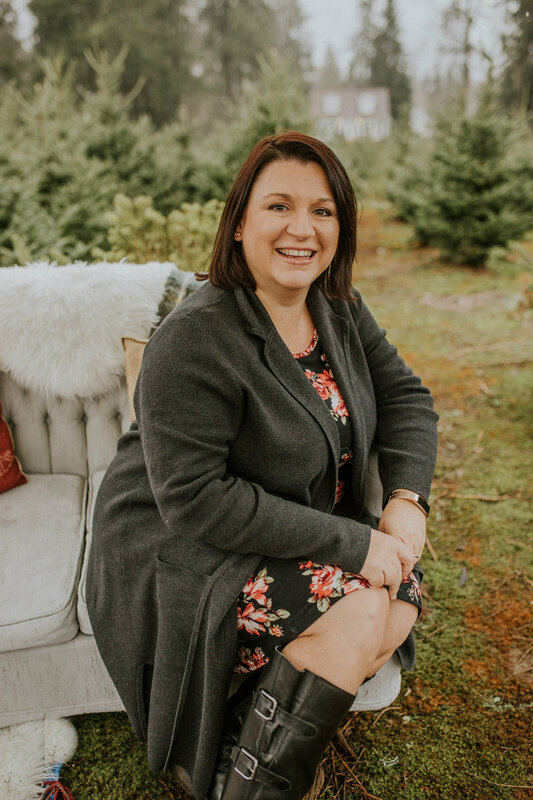 There is a wedding coordinator on staff to help you with your wedding day needs. 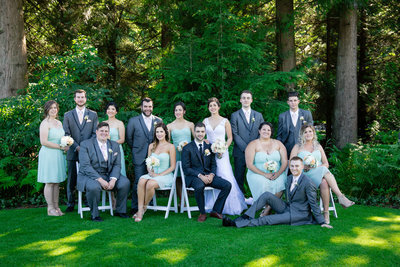 Westwood Plateau Golf has a beautiful outdoor ceremony location near the front gate of the club. It is surrounded by a beautifully manicured garden & lawn. This is also a beautiful spot for your bridal portraits. 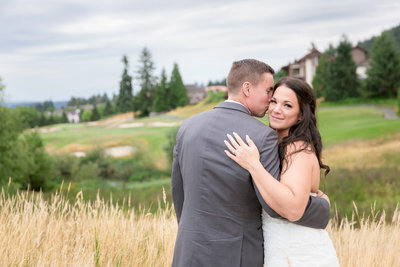 If it happens to rain on your wedding day Westwood Plateau Golf has a few rooms where you can move your ceremony inside and keep out of the rain. 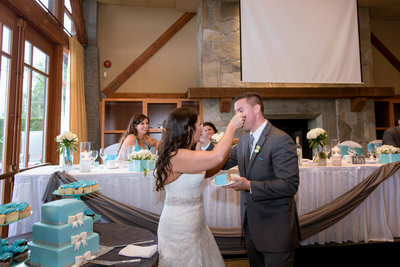 There are two banquet rooms, one upstairs which is bigger and has a beautiful balcony overlooking the Port Coquitlam Mountains. A smaller downstairs banquet room with a terrace overlooking the golf course. - it is a little out of the way it is more private. - the food is fantastic! - the sunsets over the trees so the banquet rooms do not heat up during the summer. - the balcony and terrace is nice and shady during the evening and provides a nice spot of guests to mingle. 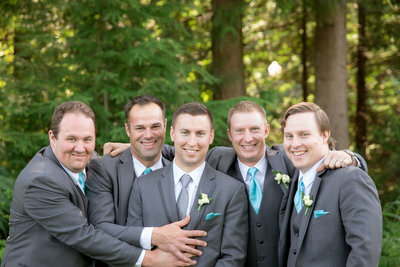 - they have lots of great spots for family photos, bridal portraits and more!